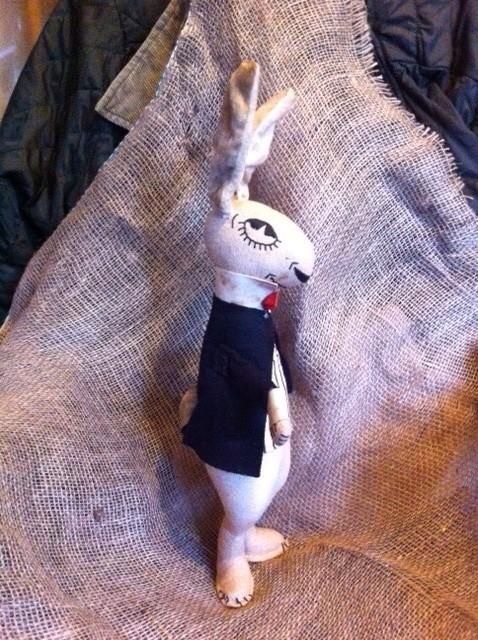 A couple of years after The Women’s Institute was formed in Britain in 1915, the Sussex federation started making a toy rabbit and they named him Cuthbert. He was exhibited at The National Welfare and Economy Exhibition in London, and the tradition of craft work had begun for the WI. Another reason Cuthbert was born was because there were no imports from Germany during WW1, one of the greatest toy making countries at that time, and our children had no Steiff toys! September 16th marks the Women’s Institutes Centenary and I am going to try my utmost to reproduce this bunny! I think he has a bit of a glint in his eye and a rather odd expression but I will post my result here, do wish me luck!